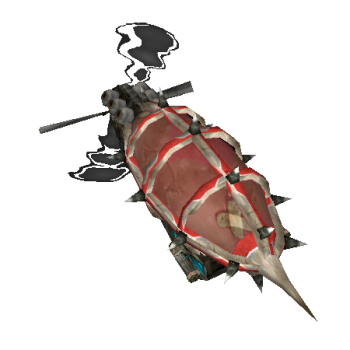 This flying Tank, is a possibility to counter any overuse of air tanks by the opponents – already in the early game. It is advantageous to combine his abilities, especially the ‘Air Mines’ and ‘Energy Leash’. With this ability, air units get pulled to you, which is further a strategic option to hold stuned/slowed air opponents in the fighting zone. Also the right swaping from your ‘Tank/Air Cannon’ to air only or normal mode is really useful in combats. Obviously with all those anti air skills, the Storm Tank has a handicap against ground tanks. A sudden storm damages enemies in the target area. Air units receive twice the damage. Draws the target air unit towards you. When the target is a ground unit or an ally, you get drawn to them instead. Draws 250 range per second. Launches an invisible Air Mines to the target destination. Explodes when an enemy tank gets near them, but they also follow air tanks around. Deals damage and slows on impact. Air Mines last 180 seconds. Creates a huge tornado around you, which damages enemies in 1100 range and double that damage in 650 range. Also provides a speed bonus for allies and a slow for enemies. Lasts 6 seconds. Primary tank weapon. Can be switched between Air-Only and normal mode.